The Chicana pachucas of the 1940s and ’50s and the cholas in the decades since have consistently served as inspiration for style and beauty. The looks are usually timeless, and are constantly redone again and again, to add in little updates of the current times and newer trends. From super skinny brows, to huge hair, and dark burgundy lips and out-to-there eyeliner, there are specific elements which are integral to the chola look, depending on the decade you are looking at. Some styles have survived longer than others; for example, you instantly think about the ’90s dark lips when you think of chola beauty. Others have not; the ’80s and ’90s sky-high hairstyles aren’t really a thing anymore. But who is to say what chola element makes a comeback next? 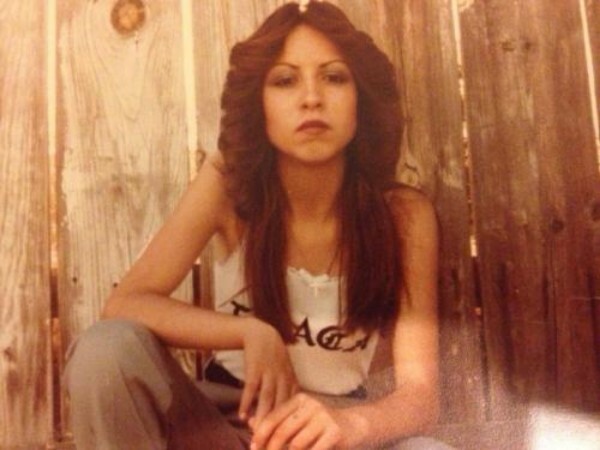 The following photos range in dates, from the 1940s to the 1990s, and give us an up-close look at the pachuca and chola beauty trends that Chicanas were taking part in during those times. This will serve as both a historical look at Chicana and Latinx beauty, and as inspiration, for any looks you wanted to learn about, see more of, and/or try out yourself.